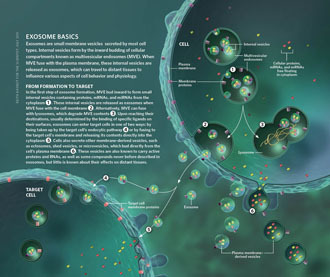 Exosomes are one of the several types of cell-derived vesicles with a diameter of 30-100 nm. 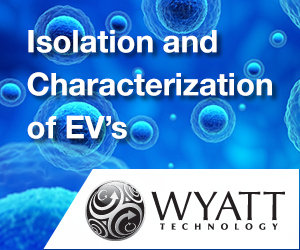 These extracellular vesicles are recognized as potential markers of human diseases such as cancer. 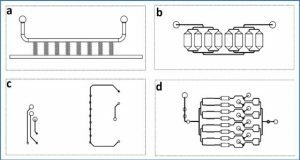 However, their use in diagnostic tests requires an objective and high-throughput method to define their phenotype and determine their concentration in biological fluids. 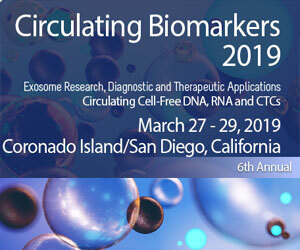 To identify circulating as well as cell culture-derived vesicles, the current standard is immunoblotting or a flow cytometrical analysis for specific proteins, both of which requires large amounts of purified vesicles. 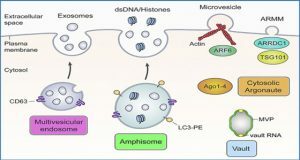 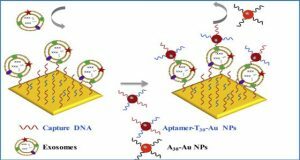 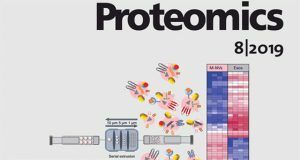 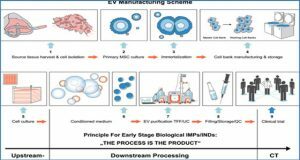 Based on the technology of protein microarray, researchers at the Aalborg University Hospital, Denmark have developed a highly sensitive Extracellular Vesicle (EV) Array capable of detecting and phenotyping exosomes and other extracellular vesicles from unpurified starting material in a high-throughput manner. 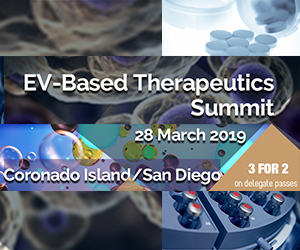 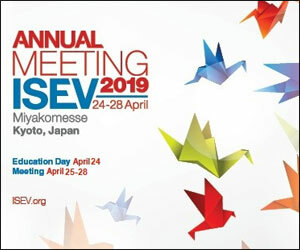 To only detect the exosomes captured on the EV Array, a cocktail of antibodies against the tetraspanins CD9, CD63 and CD81 was used. 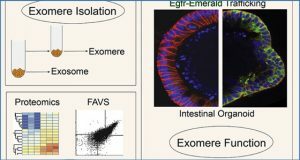 These antibodies were selected to ensure that all exosomes captured are detected, and concomitantly excluding the detection of other types of microvesicles.